From hockey puck solid state relays to intrinsically safe relays to electromechanical relays to power relays and Ice Cube relays, each relay can handle different amounts of amps. Solid State Relay amplifies the current handling capability of a variety of sensors for controlling higher power loads. Compact and totally encapsulated. Impervious to shock or vibration. Intrinsically Safe Relay offers low power switching with solid state reliability and eliminates explosive conditions. Can be mounted in any orientation and is shock and vibration resistant. DIN/Panel Mountable Solid State Relay features an internal heat sink, bistable clips for DIN rail or panel mounting and an LED indicator light. Compact housing also minimizes panel space. Hockey Puck Solid State Relay features a terminal cover and LED status indicator. The optically coupled circuitry isolates the input terminals from the output terminals. Electromechanical Relay is small and features Class F insulation. Quick-connection terminals for simple connection, and is panel mountable. 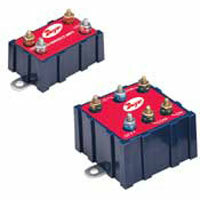 Relays are compact and impervious to shock and vibration. DIN Rail Mountable Time Delay Relay can be configured in accordance with 10 different timing functions. All purchases must be 10 units or more. Hermetically Sealed Relay is designed to be used in hazardous locations. Gold flashed contacts provide protection against oxidation in low current/voltage applications. Open Style Power Relays are designed for high AC and DC current applications. Mercury-free. Available in a variety of trigger voltages and coil resistances. Increases durability and reduces the effects of vibration. Power Relay are designed to switch high current loads in the most demanding applications. Available with quick connect tabs or screw terminals. SPDT Ice Cube Relays is a full-featured SPDT relay that can be used to handle loads up to fifteen amps for AC or DC circuits. A few applications include refrigeration compressor systems, HVAC motor controls, and water/wastewater pump control. DPDT Ice Cube Relays is a full-featured DPDT relay that can be used to switch two different devices with a single trigger. Clear plastic housing. A few applications include HVAC motor controls and refrigeration compressor systems. 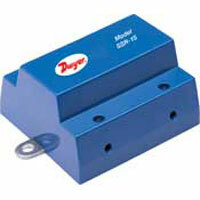 3PDT Ice Cube Relays is a full-featured 3PDT relay that can control up to 3 devices with a single trigger. Can handle loads up to fifteen amps. Cleat plastic housing. 4PDT Ice Cube Relays are full-featured 4PDT relay that can be used to handle loads up to fifteen amps for AC or DC circuits. Clear plastic housing. Removable I.D. tag for labeling the circuit.